COLOR OPTIONS: Choose from remaining available options using drop down menu. CATEGORY: From the Dot Dash Metal Shop Collection these metal frame shades look cool whether you are working a jackhammer, flying a jet, or just sipping a drink at your friends bbq. SIZE: Lens width 63mm/lens height 54mm/bridge 13mm. 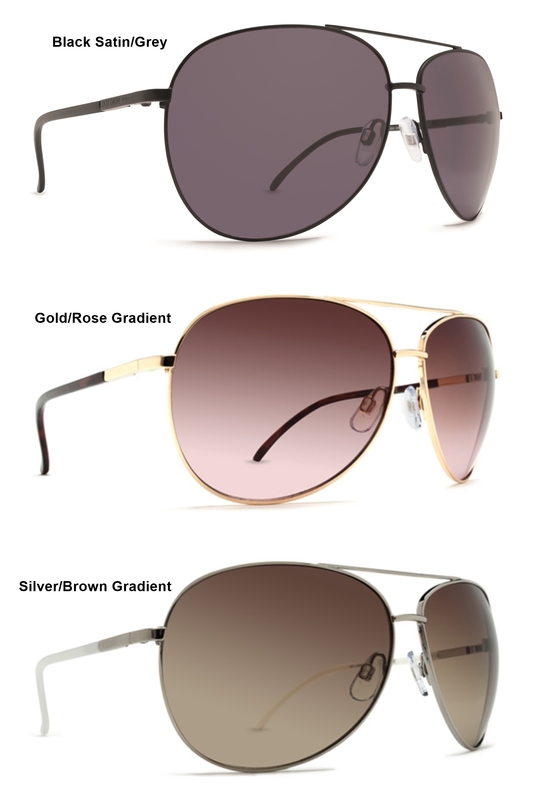 These are unisex mid-sized sunglasses worn by both men and women.